Spring break in Montréal - bring it on! This article was updated on February 1, 2019. What to do in Montréal for spring break? What not to do! From out-there activities to cool pre-drinks and creative pub cuisine, from can’t-miss club fun to hangover bustin’ brunches the next morning, we’ve got you covered. Let the following to be your guide to doing it up right during spring break in MTL. One of the province’s truly amazing entertainment spaces, the Ministry of Cricket (and Other Homeless Sports), has an escape room, The Sherlock Holmes Mystery (part 3D gaming experience, part Sherlock Holmes museum), as well as more than 15 other activities on offer, including bubble soccer, Battle of Nerfs!, extreme archery games and even Quidditch. If chucking stuff floats your boat, Montréal isn’t lacking for axe-throwing emporiums: check out Maniax, Rage: Axe Throwing Centre and Sports de Combats. For the speed-minded, Vortex Racing offers state-of-the-art F1 racing simulators (they cost 400 grand apiece) that have to be experienced to be believed. And for those of you who roll a little slower, the Old Port’s giant Ferris wheel, La Grande Roue de Montréal, is open for business, offering climate-controlled gondolas, package experiences and, of course, rad views of Old Montréal and downtown. The eating and pre-drinks portion of the evening is, arguably, the most critical phase: not only are you setting the tone, this is the fuel for your fun. If you’re starting out on the Plateau Mont-Royal, imaginative hipster magnet and oyster/cocktail bar Le Majestique is all eye candy and killer cuisine. Around the corner on Duluth Street, find super-popular brew pub Le Reservoir, and directly across the street from that, Bar Suzanne, with its fresh fusion menu (dumplings!). Fab food and drinks are also the raison d’être of L’Gros Luxe (Caesars topped grilled cheese sandwiches, onion rings and more). If downtown, head to Sainte-Catherine Street West for Imadake, another Japanese small plate pub with a lively atmosphere (which may have something to do with their signature “sake bombs”). The funky, similarly themed Biiru is also capturing the imagination of the downtown young professional crowd, who you can take the pulse of at nearby, über “it” bar Furco. Dominion Square Tavern is a must for its beautiful 1920s setting, wicked pub grub and old-timey cocktails. And a bit north of downtown on Sherbrooke Street lies laid-back artisanal brewpub Benelux, known for European-style hot dogs and signature suds that slay. At the corner of Sainte-Catherine Street and Saint-Laurent Boulevard, the more upscale Accords Le Bistro offers a chill eating and drinking environment in the heart of the action. Right around the corner, directly across from storied drag/burlesque club Café Cléopatra (one of the last vestiges of the former red light district), is the coolly retooled Midway with its connoisseur’s collection of alcohols and creative cocktails. Walk a little further south on Saint-Laurent Boulevard to find, if you look carefully, very relaxed basement tiki bar Le Mal Nécessaire, which serves some of the craziest Polynesian-inspired cocktails going and Chinese finger foods. Nighttime is the right time for joining the club(bing). Starting on the Plateau, along a five-block stretch of Saint-Laurent Boulevard, and just off of it, are over 20 small and medium-sized dance clubs that party up seven nights a week. Techno, bass, dub, hip-hop, club hits and house – and all flavour of beats between and beyond – can be found in fave places like Tokyo Bar, Rouge, Muzique, Le Belmont (which also has live acts, mostly hip-hop), Blizzarts and The Blue Dog Motel (intimate rooms right beside each other). The larger, completely unique Apt. 200 (designed to resemble an enormous apartment) pretty much guarantees good times as does the nearby Café Campus with its major club nights on Tuesdays, Thursdays and weekends. In and around downtown and Old Montréal is where you’ll find the bigger staples of the city’s dance scene. The striking New City Gas complex (situated in a vast, former industrial-era building just south of downtown) offers a one-of-a-kind experience, while Crescent Street and the blocks around it are home to an incredible diversity of both local and visiting partiers at packed places like Jet Night Club, Copacabana, the Sir Winston Churchill Pub Complex, Thursday’s, Club Electric Avenue and Le Cin5. Heading east on Sainte-Catherine Street, the legendary Foufounes Électriques offers dance nights that range from electro to pop to punk several nights of the week. Keep going and you’ll pass by understated and inviting electro venue Newspeak, and a few blocks after that you’ll arrive in the Gay Village, where your party options are virtually limitless. Big rooms Stereo and Circus – both renowned for quality of sound and international-calibre DJs – dominate the afterhours action while foolproof party places Club Unity (multiple styles of music) and the Sky Complex (same) are absolutely must-do destinations for queer-friendly folks. Ask any Montrealer where to get (what feels like) that life-and-death-necessary, post-party poutine transfusion, and chances are the first thing you’ll hear is La Banquise. Its location slightly off the beaten path, beside Parc Lafontaine on the Plateau, doesn’t stop the hungry hordes who line up for more than 30 types of poutine served 24 hours a day. On Saint-Laurent Boulevard, The Main Deli Steak House (open until 5 a.m.) was once a late-night haunt of Leonard Cohen’s back in the day and is famous for its smoked meat and potato verenekes. And speaking of delis famous for their smoked meat, the aptly titled Dunn’s Famous Deli (open 24/7) on Sainte-Catherine Street is an authentic old-fashioned diner right down to the old-school red leather booths and stools. Back on Saint-Laurent Boulevard, much-loved greasy spoon Montreal Pool Room, which hasn’t actually had a pool table in eons, is a favourite of late-night partyers and claims to have the best “steamies” (hot dogs in steamed buns) in town. It’s open until 4 a.m. And further up the street, decidedly healthier, perennially popular corner diner Patati Patata (renowned for its veggie poutine) is open until 2 a.m. When it comes to eating the pain away, dim sum in Chinatown is a tried and true, post-night-out Montréal tradition, and not just because of the convenient concentration of dim sum places (Restaurant La Maison Kam Fung is a favourite) located right between downtown and Old Montréal. On the Plateau, in the shadow of Mount Royal, is the quintessentially Montréal Santropol Café, known for its healthy, over-sized sandwiches and warm, quirky décor. A few short blocks away are both Beautys Luncheonette on Mont-Royal Avenue (an authentic diner / time capsule opened in 1942) and the decidedly more modern Bagel etc (celebrated for, among other things, their sensational huevos rancheros with bacon). Lawrence, on Saint-Laurent Boulevard, is a consistent hit with a crowd-pleasing brunch that somehow manages culinary excellence, affordability and unpretentiousness all at the same time. Le Fabergé on Fairmount Avenue isn’t lacking for appeal or imagination either (look no further than their fried chicken waffle and breakfast poutine). And while on Fairmount, don’t miss out on a chance to grab a bag of Montréal’s world-renowned, trademark, hangover-chasing bagels at Fairmount Bagel (open 24 hours). Lastly, if it’s a little hair of the dog you’re looking for, head to SuWu on Saint-Laurent Boulevard for their mimosa-powered weekend brunch. After that, you’ll be primed to head back to the beginning of this list. 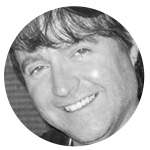 Jamie O’Meara is a writer for The Montreal Gazette, C2 Montréal, Moment Factory and more. He also manages the PR Team at the Just For Laughs Comedy Festival and is the former Editor-in-Chief of alt-weekly newspaper HOUR Magazine. See the list of our regular contributors.